It’s spring, Easter is just days away, and Maple Bacon Deviled Eggs are calling your name… Right? A hint of sweet from the maple syrup, the smokiness of delicious bacon, a bit of heat from sriracha and Fresno chile, and you’ve got to have some fresh herbs in spring. My Maple Bacon Deviled Eggs are a fresh spin on a classic that everyone loves on their Easter brunch or dinner table! I had the Deviled Eggs at Bodega, a local bistro and tavern. I was intrigued by the combination of maple, dried chile, puffed sorghum, and bacon. Have you heard me wax poetic about sweet/spicy/smoky flavor combos? Surely you have. I love that combination! I was unable to find puffed sorghum (which added great texture), but I think I came close with the maple, bacon, and chile. I used sriracha in the egg mixture, and garnished the eggs with finely minced Fresno chile (both sweet and hot). Given that this is an Easter/spring recipe, fresh herbs are in order. I just happen to have gorgeous chives in my garden. If you like this recipe, don’t forget to sign up for my newsletter (upper right corner)… You can also find me on Pinterest, Facebook, and Instagram! A hint of sweet from the maple syrup, the smokiness of delicious bacon, a bit of heat from sriracha and Fresno chile, and you've got to have some fresh herbs in spring. My Maple Bacon Deviled Eggs are a fresh spin on a classic that everyone loves on their Easter brunch or dinner table! Cut bacon into "lardons" (1/2" slices), and fry until crisp. Crumble bacon to resemble large crumbs, using a knife if necessary. Remove all but about a teaspoon of the bacon drippings from the pan. Saute the minced shallot until soft. Cool. Slice eggs lengthwise; pop the yolks into a medium-sized prep bowl (or food processor bowl), and arrange the whites on a plate. To the bowl, add the maple syrup, sriracha sauce, yogurt, mayonnaise, and dijon. Either pulse until smooth, or use the tines of a fork to smash and blend until a smooth, creamy consistency is achieved. Season with salt and pepper to taste. Fold in the finely crumbled bacon, cooked and cooled shallot. Pipe (see notes) or spoon the yolk mixture into the egg white halves. Garnish with the minced chile and chives as desired. We like heat! 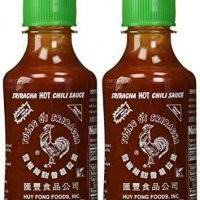 If you're not a fan, you may want to start with 1/2 teaspoon sriracha sauce, and adjust to taste. Fresno chile is variable, but it is a spicy chile. It's a sweet heat that compliments the smoky bacon and sweet maple, but you can eliminate one or both according to preference. I use half plain yogurt, and half olive oil mayonnaise to reduce the fat and calories a bit. You may wish to use entirely one or the other. Also, egg yolks vary in size, so the amount of yogurt/mayo may need to adjust. 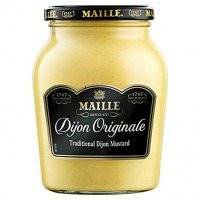 You're looking for a thick, creamy consistency. If you love the pop of red color, but don't want the spicy red chile, finely mince a bit of red sweet pepper. We love the color and flavor of the fresh chives, but they're optional. I don't always get perfect looking hard-boiled eggs. I have discovered Eggland's Best Hard-Boiled Eggs that make really pretty deviled eggs, and are perfect every time. Perfectly Boiled Eggs Recipe from Serious Eats is helpful if you're boiling your own. Macronutrients are an approximation only from MyFitnessPal.com. Oooh, these sound so good! 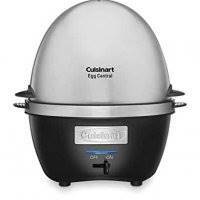 I have a big surplus of hard boiled eggs now, and I'm looking for some new recipes to use them in. Gonna try this one! Sweet, smoky, AND spicy! Sounds like such a great combo! I am gushing with love for that flavor profile. We love deviled eggs, and I am bit of a purist when it comes to classic deviled eggs. But, this combo seems perfect. I am intrigued too with mixing sweet spicy and smoky. I completely agree with the healthy approach, and long live eggs! I think it'd be hard to convince a deviled egg purist to love these! Lol. I guess I'm a bit of an ambassador for eggs, but I really feel they're an important part of a healthy diet. Thanks so much Cindy! A little bit of spicy and a little bit of sweet is the best combo and I could go on and on about it as well! I haven't had deviled eggs in forever and these have put the craving in me! Spicy and sweet and savory always makes me happy Meg! You'd better cave in to that craving! These look quite tasty. Love the flavors! Pinned, Tweeted and Shared! Thanks Kevin! I'm looking forward to trying all these lovely spring recipes, and I know how good your recipes are! I love love love deviled eggs too! These look so festive and I'm really digging these flavor combos! We ought to eat them year 'round, right? Lol! I agree, the idea of "too" many eggs IS rubbish!! Eggs all, day every day if you ask me! 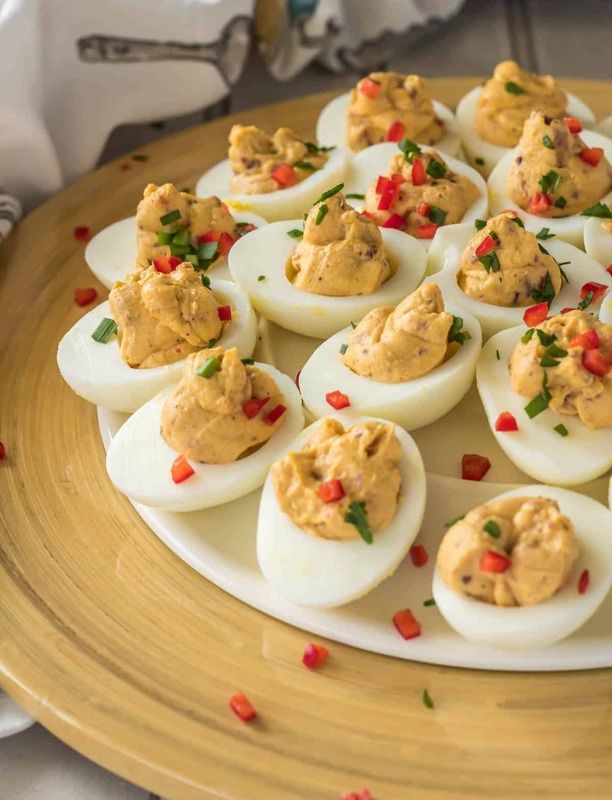 Deviled eggs are a MUST for Easter and these look just delicious! LOVING that sweet and spicy combination! I could totally devour a few dozen of these and just call it dinner. ;) Cheers! Haha! A woman after my own heart :-) Thanks Cheyanne! There's not much better than maple and bacon. It's one of my favorite combos. 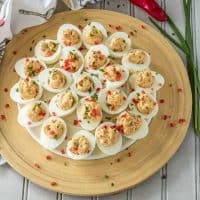 I hardly ever make deviled eggs except for Easter so these are a must try for me this weekend! Me too, Karen! I am not sure why that is, as we love them all sorts of ways! Sriracha in deviled eggs? I love it. And it'll slow the kids down too, so I actually get to eat a few. These look amazing. Thanks for the recipe. Cheers. Thanks April! I raised 4 sons, so I totally "get" slowing the kids down... Lol. Lol! I'm pretty sure I can eat that many too... I don't know why I reserve them for this time of year!